Whether you think that’s funny or not, the reason stems from the average American simply being too detached from the whos, hows and whys of government today. Communities are stronger when people are actively involved and are willing to share their input, expertise and time. From grade school kids to retirees, counties offer countless opportunities for everyone to contribute. Most residents can name only a handful of the dozens of important services Tattnall County provides them. 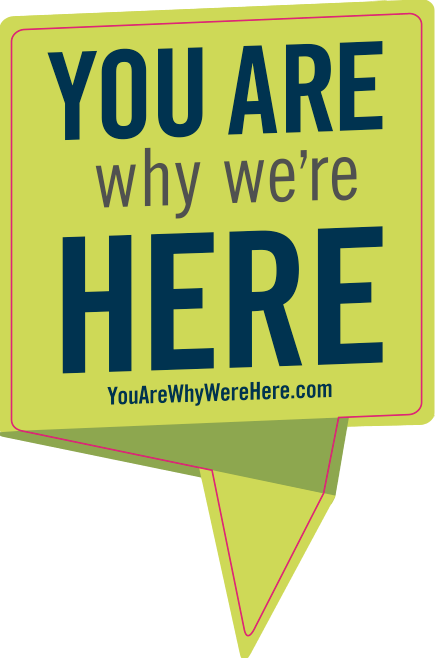 So the ACCG has launched the You Are Why We’re Here communication campaign to raise the visibility of lesser-known county-provided services. Employing social and electronic media, street-level marketing tactics, traditional and PSA media and person-to-person communication tools, the campaign aims to compel residents to be more aware and appreciative of county-provided services. Featuring bright yellow campaign logos on county vehicles or in county offices, on posters, flyers and on local websites, all of the campaign’s communications tools direct people to YouAreWhyWereHere.com. The modern, interactive website features a beautifully illustrated town dotted with You Are Why We’re Here markers pointing out dozens of county-provided services. The site also features a page where residents can type in their county’s name to instantly see Tattnall County-specific information, like a list of current officials, population statistics, contact information, meeting times and more.